I have a guilty teenage past; a misspent youth. From the age of 10, I devoted my time to battling giants, exploring castles and seeking treasure. I played Dungeons & Dragons. I was geekily excited by the paraphernalia: I meticulously painted miniature models, painstakingly recorded my alter-ego’s character traits and covered my bedroom walls with maps of other worlds. I barely existed in the here and now. The collective name for gamers is a stink. And I think there’s good reason for this. A strategic reenactment of the Cold War from the end of WWII to 1989. 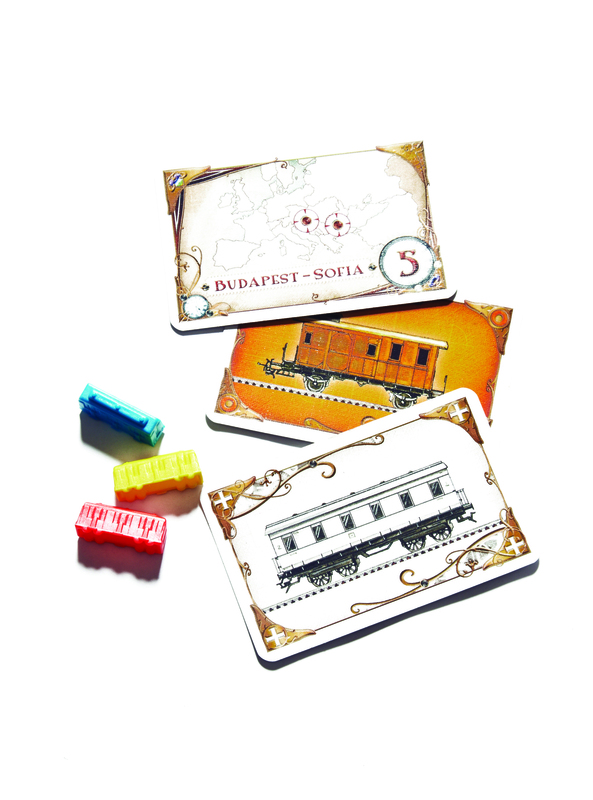 The game uses cards printed with historic events and a world map on which players place influence points as they try to secure victory. If it goes to 1989 you can be playing for four hours! This game holds a distinct memory for me. We had a rainy family holiday in Yorkshire a few years ago and ended up playing Ticket to Ride for hours. The aim is to build rail routes across Europe – either to finish secret mission routes, which players have on cards dealt at the beginning, or be the builder of the longest railway. A great family game; it may well have inspired us to go Interrailing a few years down the line! A quick 20-minute game for 2-7 players, and yet fantastically rich thematically. Everyone plays simultaneously, so there’s no tiring waiting around for that one person who takes ages over a go. Each player attempts to build one of the original 7 Wonders and a civilisation to go with it. You can focus on building an army, creating an economy, constructing monuments or encouraging science. It sounds much more complex than it actually is. Well worth a go. Another ‘worker placement’ game where players start with a farm and two pieces to place on it. You can play solo or with up to 5 players. As the game progresses you develop your farm: creating fields and pastures, raising animals, planting and reaping crops. With each harvest you have to ensure there’s enough food to feed your growing family. It’s a game I return to time and time again. It looks frighteningly complicated but it is well worth it. A recent acquisition, which was first published in 2004. Each player takes the role of a prospector. As you explore the valley by placing tiles, you choose to mine for gold, hunt for furs or gather clues to buried treasure. You can return to the general store to trade in nuggets for tools but you must watch out for the coming of winter, which ends the game. A wonderful example of a pure strategy game. It’s for 2-5 players but I like it as a 2-player chess-like battle. Players use their workers to build a castle and gather resources. One of my favourite gaming memories is spending hours playing this with my gaming buddy Joe on holiday in Wales. We sat outside and drank pints of Reverend James ale and ate pork scratchings. Gaming bliss. Henry Ward is an artist, writer and educator based in London. He paints, draws, takes photographs, plays board games and attempts to make music on a growing collection of string instruments.